In 1987 and have been managed by it since, giving the hotel a family warmth and treatment to its customers. 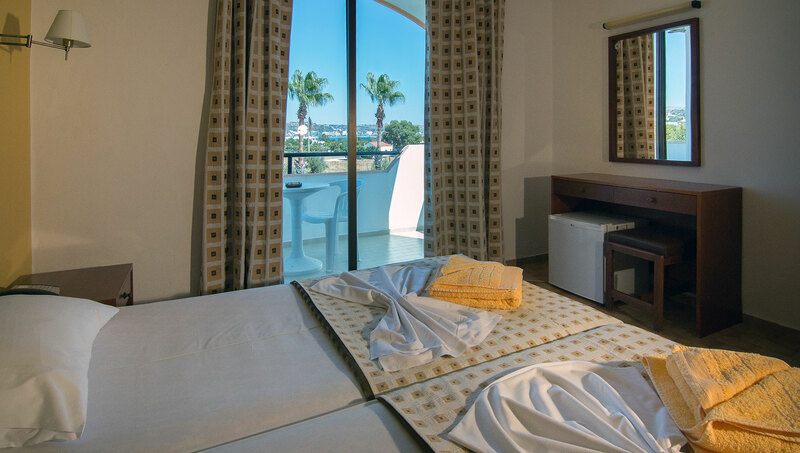 It is built in a quiet area next to a lemon tree garden and with two swimming pools along with its magnificent view of the Faliraki Bay, makes it ideal for families or couples who want a relaxing holiday. 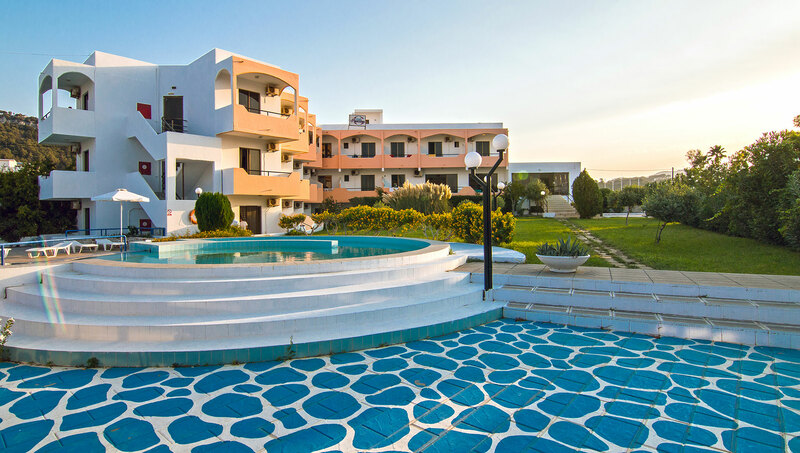 However, for those however who want to have a more intense vocation with more entertainment, the hotel is just 20 min walk from the center of Faliraki. 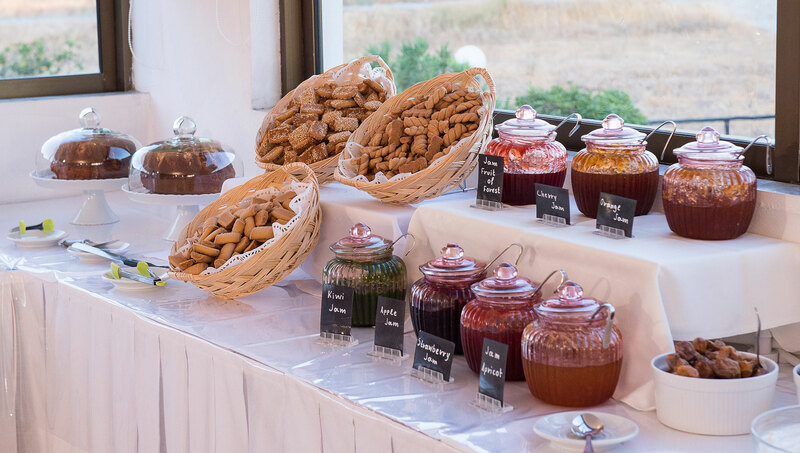 Restaurant serves daily Greek traditional breakfast and traditional cuisine. We offer you airport to city and resort transportation with wide choice of vehicles. Our bar serves ice cold beer, unique cockteils and refreshing beverages.